Stopson Italiana has successfully completed the supply of steam blow-off silencers and cleaning equipment, including pumps, valves, spectacle flanges, instrumentation and pneumatic target plates system, and provision of supervision services for the blow-off operations of two Combined Cycle Power Plants (CCPP) performed in parallel. 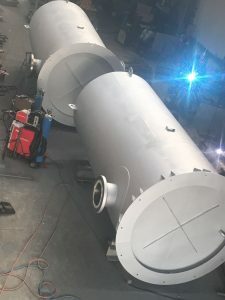 The 230 t/h capacity silencers are equipped with 16 bara design pressure diffuser in a carbon steel casing 6 meters high with 2.5 meters diameter, capable to achieve a residual sound pressure level of 90 dB(A) at 3 m from equipment. Stopson Italiana’s blow-off silencers are based on a combined reactive and absorptive principle for noise reduction: the gases expand to atmospheric pressure through an horizontal large-holes perforated diffuser, providing a first step in attenuation while allowing any debris to flow out, then evolves into a sound-absorbing lining section to further contribute to reach required noise residual level. 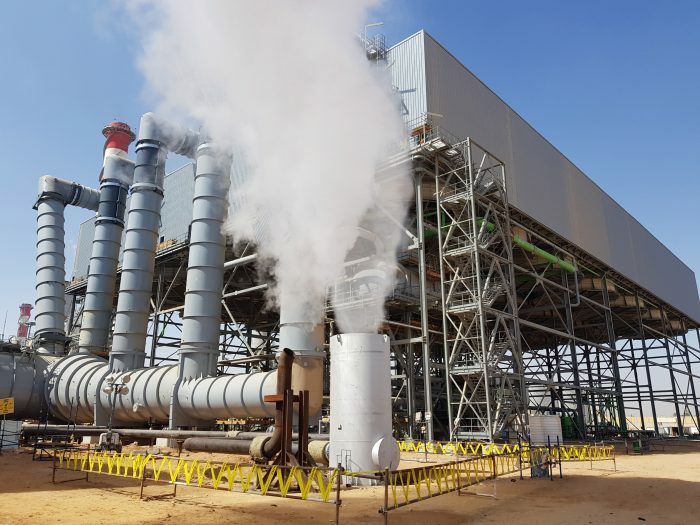 The 1 GW New Assiut plant and 500 MW West Damietta plant have gone through a substantial upgrade with the addition of steam turbine modules recovering heat from existing Gas Turbines. This 750 MW addition over the two plants will take the total capacity to 2.25 GW, further contributing to helping meet the increasing demand for power in the country.